Called whenever the selection has changed. Saves the current selection and load it later with a simple click. 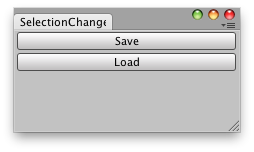 // Simple example that lets you save the current selection and load it.